This business centre is a strategically located headquarters office building in central Peterborough, in the heart of the business district. 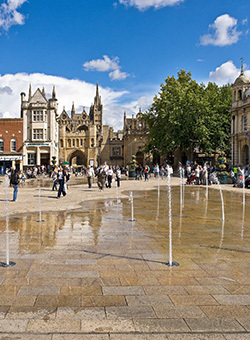 It is within walking distance of the bus and railway stations and close to all shopping facilities, including Marks & Spencer and the Queensgate Shopping Centre where tenants include John Lewis, Waitrose and Boots. It is within a quarter mile of junction 5 of the Peterborough Ring Road. Convenient for your Beginners Microsoft Excel VBA 2010 Training Course.